Even if you're short on time, there is plenty for you to do in the Gatlinburg/Pigeon Forge areas depending on your interests. The Guinness World of Records Museum is located in Gatlinburg and displays many items from its world famous record books. This is one interesting and fun museum that the whole family will enjoy. A must see is the Gatlinburg Sky Lift - a ride that glides you across the Pigeon River and then up to an altitude of 1,800 feet to view the entire area surrounding Gatlinburg. Day and night rides are available. Another sight you cannot miss is the Great Smoky Arts and Crafts Community, located just three miles east of Gatlinburg. This is the largest group of independent artists in the country with an 8-mile loop of shops and galleries. With something for everyone and during the spring to fall time there is outdoor music by local musicians on traditional instruments. RainForest Adventures is an indoor collection of hundreds of exotic animals. Live animal demonstrations are presented daily. Beautiful birds, reptiles, and mammals are sure to impress the whole family with their playful antics. Make sure to spend some time at Dollywood! Thrill rides, water rides, children's rides, exciting shows and crafts will please every member of the family--regardless of age. Make it a 'Dolly' day--and evening! 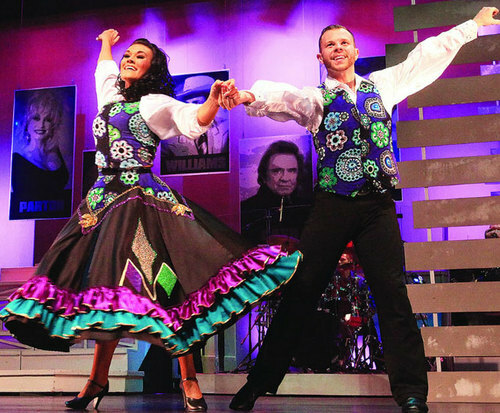 Dolly Parton's Stampede Dinner Theater in Pigeon Forge is a show that you just cannot miss. This show combines food, fun, horses, and--ostriches. The Gatlinburg and Pigeon Forge area is an outdoor person's dream with a myriad of hiking trails, fishing spots, walking tours, ski and snowboard areas there is something for everyone. Try a walk in the woods with guided nature walks. Explore amazing trails with Big Rock Dude Ranch at Ponderosa LLC Horseback Riding. Go rafting with Big Pigeon River Upper Section Rafting or Big Pigeon River Lower Section Floating. Take a hike through the Great Smoky Mountains National Park. Fish at one of many fishing spots in the park including special areas just for kids. Ski or go snowboarding at the Ober Gatlinburg Ski Resort. Visit the Great Smoky Arts & Crafts Community. This is the largest group of independent artists in the country in an 8-mile loop of shops and galleries located just three miles east of Gatlinburg. The Gatlinburg Craftmen's Fair is a semi-annual event that attracts the country's finest crafts people. Watch artists performing their handcrafted specialties such as broom making, candle dripping, woodcarving, quilting, and pottery. Find all kinds of items including toys, leather goods, blankets, lamps, stained glass and even painted saws. Enjoy food and purchase food such as homemade molasses, apple butter, jams 'n' jellies, bread mixes, smoked country hams, sausages, and more. A musical background complements the climate of creativity at the fair as melodies strummed on dulcimer, fiddle, banjo and other traditional instruments fill the air. Called the 'Best Live Country Music Show in America', Country Tonite blends music and laughter in a high-energy performance the whole family will enjoy. There are many championship courses in the area that offers a wide variety of challenges on both public and private courses. Try the awesome championship 18-hole par-72 Bent Creek Golf Course in Gatlinburg or the 27-hole Dandridge Golf and Country Club located in Dandridge. Both of these courses have been redone recently and offer professional design by those who know golf.